When liposuction was popularized in the early 1980s, there was a large amount of bleeding, bruising, swelling and postoperative pain. These side effects quickly led plastic surgeons to search for techniques that could minimize such problems. The first innovation was designed to make fat removal less traumatic. Plastic surgeons injected limited amounts of intravenous-like fluid to expand the “fat space” to make it easier to remove stubborn fat deposits. Soon small amounts of epinephrine (adrenaline) were added to constrict blood vessels and decrease bleeding. This approach was known as the “wet" technique. If you live in or around Indianapolis and would like more information about tumescent liposuction, please contact Renaissance Plastic Surgery online or by calling 317-575-9152 to schedule your consultation with board-certified Indiana plastic surgeon Dr. Joseph Fata. See some of our tumescent liposuction results in our lipo before and after gallery. Read tumescent liposuction reviews and testimonials for other plastic surgery procedures from our patients. In 1985, tumescent liposuction was introduced. In tumescent liposuction, a local anesthetic, xylocaine (or Lidocaine), was added to provide numbing to the treated area in addition to the epinephrine. The tumescent technique was used primarily as a local anesthesia and required that the amount of fluid injected into the “fat space” was 3-4 times the amount of anticipated fat removal. The disadvantage of this tumescent liposuction technique is that injecting large amounts of fluid increases the risk of toxic levels of xylocaine and epinephrine. While the technique itself removed more fat, this risk needed to be addressed to guard patient safety, leading to advancements that now make tumescent liposuction among the safest and most effective options available. During your initial consultation at our Indianapolis plastic surgery center Dr. Fata can discuss all of your liposuction options to help you determine which technique is best suited to your needs. The most recent development in tumescent liposuction has been the "superwet technique". In the superwet technique, the concentrations of xylocaine and epinephrine are the same as in the tumescent technique, but smaller volumes of fluid are used, generally a 1:1 ratio of fluid injected to fat removed. At Renaissance Plastic Surgery, Indianapolis plastic surgeon Dr. Fata uses the superwet technique with a general anesthesia for most of his liposuction patients. This helps reduce liposuction risks while ensuring the most complete removal of stubborn fat deposits for optimal body contouring results. Your risks from liposuction and other body contouring procedures is greatly reduced when you work with an experienced and board-certified plastic surgeon like Dr. Joseph Fata. When you come to our office for your body contouring consultation, Dr. Fata will honestly and openly discuss potential risks and complications, as well as ways you can reduce your risks through adherence to pre and postoperative instructions. We value your comfort, safety, and satisfaction, and will work directly with you to help ensure the smoothest and most rewarding experience from the moment you enter our office through your complete recovery from tumescent liposuction. Recovery from tumescent liposuction will be dependent on factors including your body’s natural healing response, whether or not you combined the procedure with other body contouring treatments, and how closely you follow our Indianapolis plastic surgeon’s pre and postoperative advice. 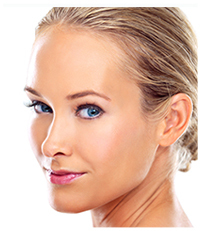 However, as a general rule, tumescent liposuction recovery is much faster than recovery from traditional techniques. For most patients, work can resumed within one week of the procedure, but strenuous activity may need to be avoided for three to four weeks. 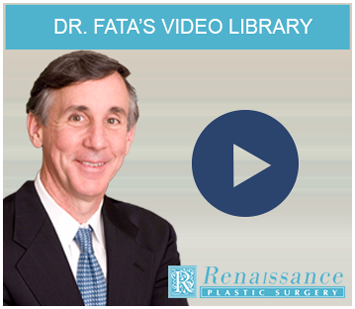 Dr. Fata will work directly with you to help you determine when it will be best to resume all activities. Wearing your compressions garment and taking good care of your body will speed recovery, reduce swelling, and help produce the most pleasing results. All of this will be covered in detail during your time in our care to help make sure you are fully prepared to make the best recovery. Tumescent liposuction may also be used for post-weight-loss body contouring, to remove those last deposits of fat from targeted areas of the body. If you are considering body contouring, you need to know about tumescent liposuction and the wet technique our tumescent liposuction surgeon near Indianapolis can explain the procedure during your consultation. Dr. Joseph Fata treats patients from Indianapolis, Carmel, and all nearby areas in Indiana. For more information about our board-certified plastic surgeon, our liposuction techniques, or our Indianapolis plastic surgery center, contact us online, or call 317-575-9152 today.